In recent years, our region has experienced significant flood events resulting in damage to infrastructure and property, as well as loss of human life. To be better prepared for future flood events and help protect citizens from dangerous flooding, the Central Texas Council of Governments has received a grant through the Texas Water Development Board (TWDB) to develop an early warning system and flood protection plan for Nolan Creek. Stakeholders in this study include the cities of Belton, Harker Heights, Killeen, Nolanville, Bell County Water Control & Improvement District #6 and Brazos River Authority. The Nolan Creek Flood Protection Planning Study started in February 2017 and will conclude in August 2019. 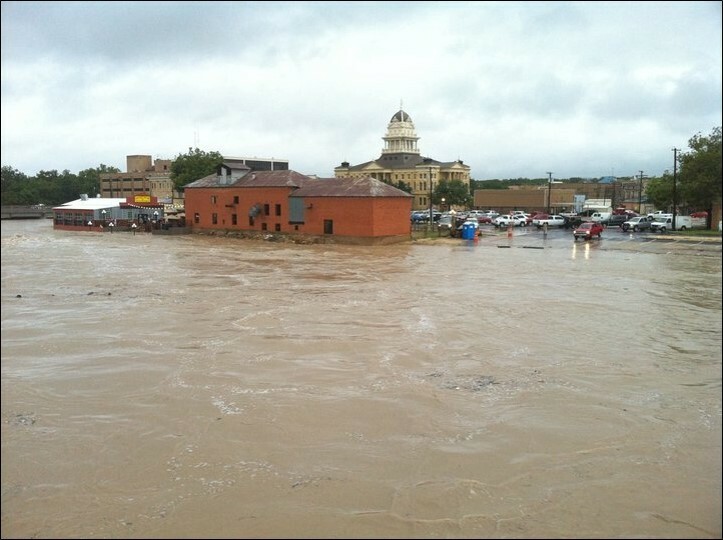 Some of the tasks in this study include the following: identifying flood early warning system improvements and flood response implementation strategies; developing both a hydrological and hydraulic model; identifying flood problem areas; establishing flood protection criteria; and evaluating flood mitigation alternatives. This information will all be published in the final report. Public involvement is essential and for the Nolan Creek Flood Protection Planning Study. Throughout the study, there will be four rounds of public meetings for the purpose of gathering input on known flooding issues and informing the public of the final project results. CTCOG highly encourages the public to submit any data or event information they may have such as flood damage, high water marks, and any other relevant information by going to www.ctcog.org and using the online public comment form. CTCOG has published an interactive flood mapping tool for the public to use to pinpoint locations where flooding has occurred. Your responses are essential in understanding where flooding occurred and the amount of flood damage at a particular location. The Nolan Creek Flood Protection Planning Study will present data and findings useful for our region. With the help of our stakeholders and the public, the study will provide our region with a safe, comprehensive flood protection plan that may help prevent property damage and lessen the loss of life. Central Texas Council of Gov.